Full Circle Adventures has been connecting people to nature for over 20 years. Our wild, edible plant walks, hikes, and snowshoe outings offer you a window into the intelligence of nature. We have learned from the Nakoda Sioux, Kutenai and Cherokee teachings as well as our own experiences. Our staff are both of First Nations and European ancestry. They bring a deep caring to our edible wild plant programs . We hope to inspire your connection to the eco-regions you live in. By learning about Nature's wild edible plants you gain knowledge about Alberta's landscapes. You can become part of the web of life. Our guides take you into the wild places to learn nature’s wisdom together. Sign up and re-wild yourself! Julie is an IGA certified, professional hiking guide and nature educator. She has interpreted nature to elders, kids and adults in Southern Alberta for more than 25 years. Julie has explored the plants of the Prairie, Foothills, Montane, Sub-Alpine and Alpine eco-regions. Sharing her knowledge about the flowers, edible plants and the relationships of plants and animals in nature, is her passion. Her goal is to help you discover the wisdom of native plants, to be an explorer of Alberta's wild places and become a plant ally. Tim has been an outdoor professional for over 10 years, and has hiked and explored both the western parts of Canada and the United States. Originally from the Lower Nicola Indian Band that belongs to the Scw̓éxmx (“People of the Creeks”) a branch of the Nlaka’pamux (Thompson) Nation of the Interior Salish peoples of British Columbia Canada.Tim spent his youth camping, hiking and backpacking in the West Kootenay’s. Tim holds a B.A. in Cultural Anthropology from the University of Lethbridge, where he did research on Indigenous identity and ways of knowing. 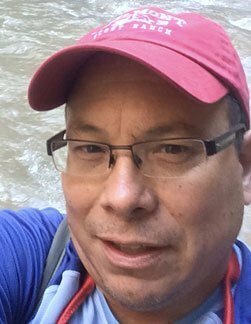 Tim is certified as an ACMG Apprentice Hiking Guide and holds certifications from the IGA; OCC; WGA; BSA; and is an LNT Master Educator. He is a recognized Indigenous Interpretive Guide and Educator teaching Indigenous ways of knowing and practices in mountainous environments with: the Interpretive Guides Association (IGA), the Canadian Parks and Wilderness Society Southern Alberta (CPAWS), Mahikan Trails, and Full Circle Adventures. The human history of the land and early uses of plants. Inquiry-based learning about plant identification and uses. Exploratory learning about the relationships between trees, plants, sunlight and the animal interactions within the eco-systems. The human impact on the landscape over time. How different world views create very different outcomes for a landscape. 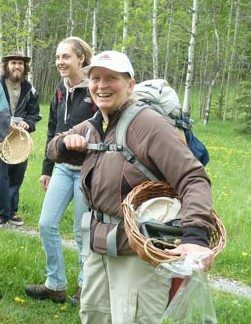 Full Circle Adventures offers Edible plant hikes in Kananaskis Country and wild foraging workshops on private land from Kananaskis country to the Chain Lakes area, south of Calgary. Locations are subject to change based on weather and wildlife notifications. The City of Calgary’s Wildland parks and Provincial parks are protected pockets of indigenous, wild plants, some even endangered. These protected areas give us easy access to native populations of local, edible plants. Learn to identify and how to cook with a handful of delicious wild edibles on these inner city walks!